The Diocese of Duluth on Tuesday released the names of 17 former priests it says have been credibly accused of sexual abuse of a young person sometime in the years from 1950 to the present. Bishop Paul D. Sirba also released the names of five other priests with ties to the area who were accused while working in other ministries and apologized on behalf of the church to those who have been affected by clergy sexual abuse. 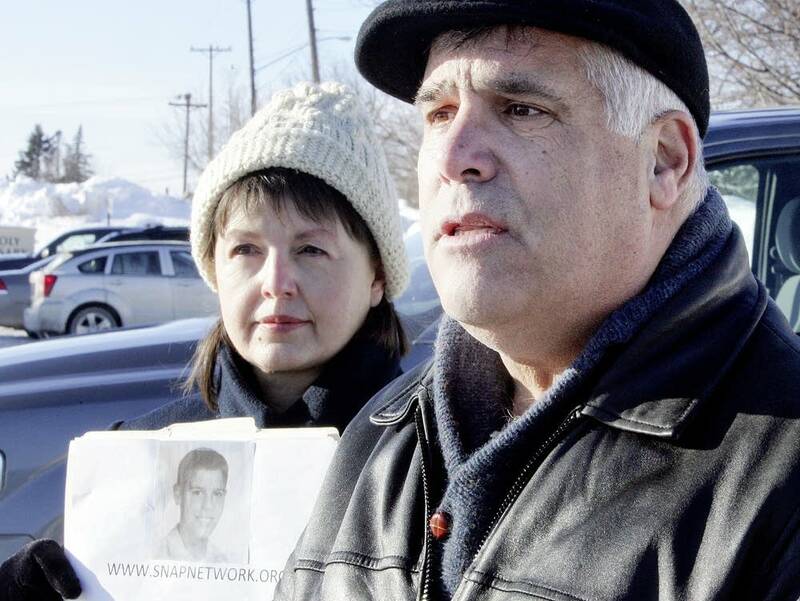 "The release of the information underscores a sad truth that must be acknowledged," Sirba said in a press conference. 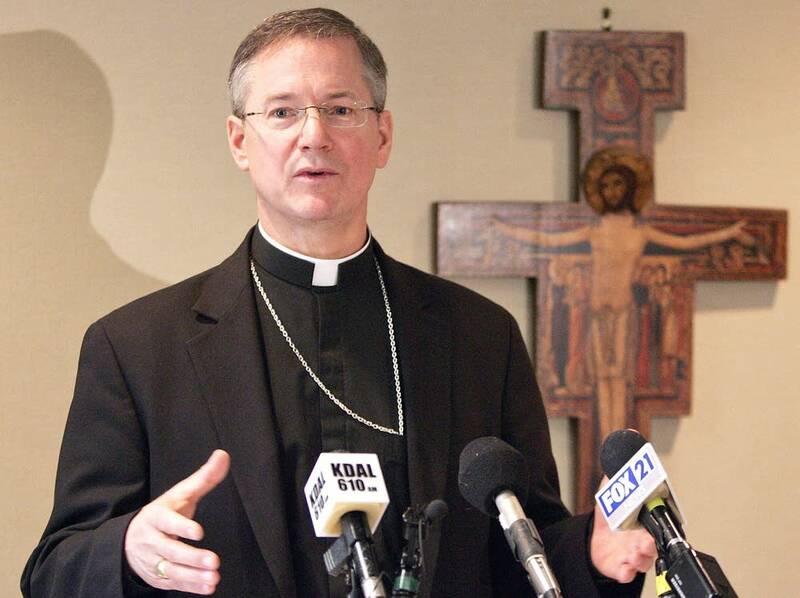 "Over the last 65 years, a number of clergy members in the diocese of Duluth have violated a sacred trust placed in them by children, youth and their families," he added. "These clergy have caused terrible harm to victims, victims' families, our community, our church, and to many, many good priests who faithfully carry out their duties." Of the 17 clergy, 14 are dead and none of the three living priests are in active ministry. They served in dozens of parishes in 36 communities across the diocese that spans the Arrowhead Region all the way to the Canadian border. Fifteen of the names were released for the first time. The other two were named in recent lawsuits seeking the release of the names of "credibly abused priests." Those requests are still pending in court, though Sirba says he decided to release the names voluntarily. "People have been hurt in terrible ways," he said. "We're trying to understand how best to get at it to prevent it from happening in the future." The diocese is withholding the name of an additional priest while they re-investigate the allegations against him, Sirba added. He stressed the list of names is comprehensive, "a complete list based on what we know today. If further information were to come forward, then we would disclose." Of the three accused clergy still living, only one, retired Rev. Raymond Cossette in Brainerd, could be reached for comment. He says he only heard about his inclusion on the list on Saturday and doesn't know anything about the allegations. "I don't know a thing about it, who the accuser is, when the situation occurred, where or anything of the sort," he said. "I have no idea." Asked if he ever sexually abused a minor while he was a priest, Cossette replied, "No, I did not." Duluth diocese officials say they notified St. Louis County Attorney Mark Rubin the list would be released. Rubin says he hasn't determined yet whether there will be any criminal investigations. The release of the names is a "first step" for the diocese, said Verne Wagner, Northern Minnesota director of the Survivor's Network of those Abused by Priests. "I also think the bishop now needs to open up his files and share the documents regarding these priests that have been named now," he said. "When were they accused of molesting children? Where? Who knew? What did the bishops at the time do?" Attorney Mike Finnegan, who represents alleged victims suing the Duluth diocese in two ongoing cases, says those details often tell a more important story. "What we've seen in other places, is that time and time again, these offenders were reported to the bishops and they were moved from parish to parish. And it's only when we see those documents when we can find out exactly what went wrong," he said. Unlike the release of names of accused priests in the Twin Cities and Winona, the Duluth diocese did so without a court order. Eric Watson, who belongs to Holy Rosary Parish in Duluth, says he hopes that signals a new way of approaching the issue. "I think in general the church needs to move toward releasing things sooner," Watson said. "I hope this is maybe the first of a new way of managing this kind of information." Finnegan says he'll continue to press for the release of additional information on the accused abusers in court. He'll make his case before a judge in Duluth on Jan. 22. Additional lawsuits are pending against the New Ulm and Crookston Dioceses, asking for the release of their lists of accused priests. One unnamed accused person no longer in ministry who the Diocese is not naming because he was included on the John Jay list based on one ambiguous allegation. The diocese is re-investigating but is not releasing the former priest's name at this time.